A low odour vertical aerosol that is a stain killer and ceiling touch-up paint in one. The flat white finish matches most acoustic ceiling tiles and white ceiling paints. Approximate coverage: 2m2. 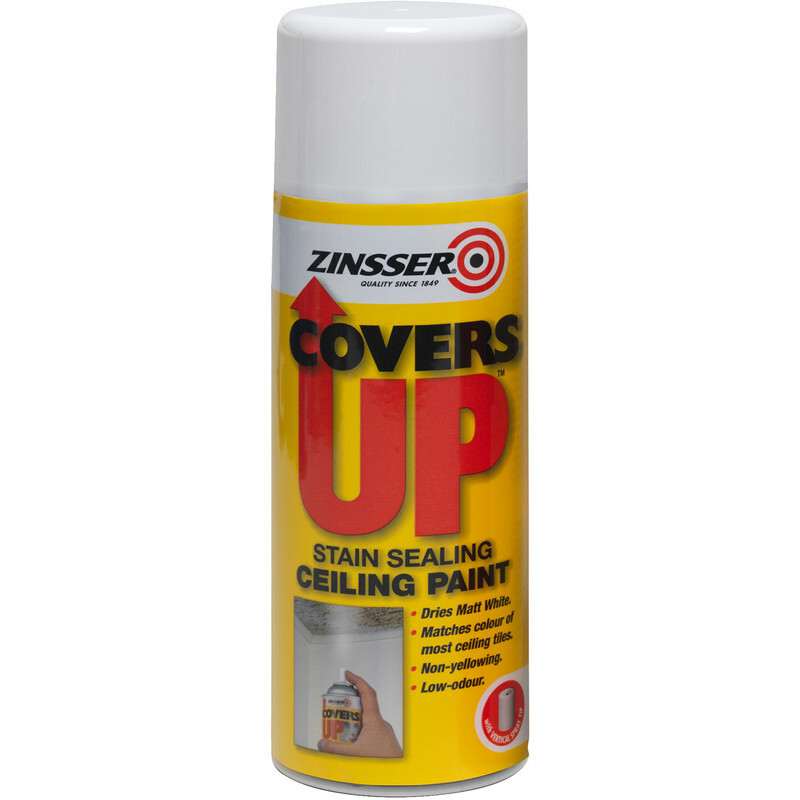 Zinsser Covers Up Vertical Ceiling Spray Paint White 400ml is rated 3.0 out of 5 by 3. Rated 3 out of 5 by HtoH from Good paint, rubbish canister! Good paint, but the canister lets it down. The last three I have bought would not spray while pointed at the ceiling, only while pointed at the floor! Not very helpful for a ceiling spray! I decant it into a mini roller tray and roller it on instead. If you do manage to get one to spray, cover everything in a very wide radius as it gets everywhere, dries very quickly and then will not come off! But it does blend in well with white ceiling emulsion. Several coats may be needed for darker stains. Rated 5 out of 5 by Lyndylou from Great coverage. Great coverage and easy to use.I would recommend getting 2 cans as it doesn't go far.